Recorded at Pacific Recording Studios, San Mateo.Moog and mellotron recorded at Different Fur Trading Company, San Francisco. Crossings is an incredible record, one of the finest pieces of music I have ever heard in any genre. Abstract jazz fusion, 20th century composition, modern electronics, African poly-rhythms and a psychedelic production that pays attention to every little detail combine to create a jazz style for a future that hasn't happened yet. Almost forty years later this album still sounds incredibly ahead of it's time. Side one belongs to Herbie, and his Sleeping Giant is a massive sprawling futuristic African suite that alternates intense avant-funk improvs with quieter mysterious sections. Herbie's playing during the abstract improvisations is incredibly intense and shows how he is the master at building a solo over a modal vamp. The quiet sections are even more inventive as Herbie shows he is also a master of modern composition and orchestration and uses his three piece horn section and electronics to build mini-orchestral textures that recall Stravinsky and Ravel. The ability to compose on a sophisticated level is one of the things that make Hancock and his band members in The Sextet a notch above other psychedelic ensembles of this time period. 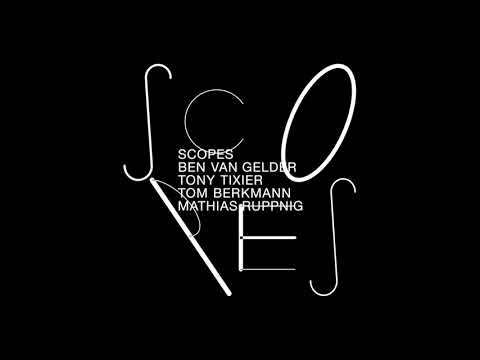 Side two belongs to woodwind virtuoso Bennie Maupin, who also proves he knows how to write and orchestrate by turning in two incredible aural tone poems. Throughout the album Maupin's playing on soprano sax and bass clarinet help add to that early 20th century Russian and French chamber music sound that seems to permeate much of this album. Often his melodies recall Moussourgsky, Stravinsky and others. Both of Bennie's compositional contributions to this album are masterpieces. Quasar is tense and mysterious and features a 'futuristic' wordless soprano melody that is similar to the classic Star Trek melody. 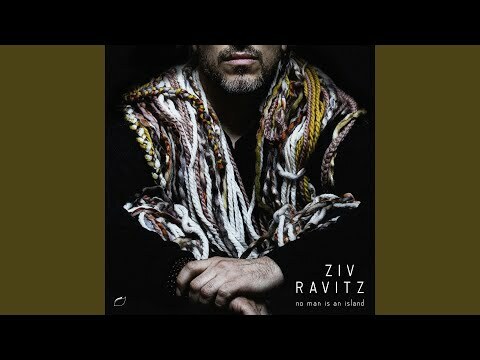 Much of the playing on this song is abstract and improvisational, but the musicians stay calm and focused and avoid indulgent improv clichés. The reultant music is delicate and sensitive, a far cry from your cliché avant-jazz 'freak out'. Side two closes with Water Torture, in which a deep slow bass line doubled on bass clarinet sounds like a cross between the slowest funk groove ever and yet another dark Russian composition. Once again the electronics and carefully orchestrated horn section combine to make previously unheard sound textures as we drift on an almost a-rhythmical ocean of sound. The big plus on this track is that Herbie lays it on thick with the Mellotron. Towards the end we are mostly hearing impressionistic Mellotron melodies and small interjections from the horns for that futuristic orchestral sound again. Despite the inventive playing and composing, the real star of this album is producer David Rubinson. This has to be one of the most meticulously produced albums ever, with every bit of reverb, echo and volume boost coming together to make an absolute aural masterpiece. Nothing like it had ever been done. By the end of the 1960s, modern jazz had traveled a world away from its humble beginnings, having inspired as many non-jazz artists as it had produced stars. Keyboardist Herbie Hancock was a central part of that American jazz renaissance which saw not only the relatively young form come into its own as a truly viable art, but unexpectedly grow into something beyond even the bloody revolutions of John Coltrane, quiet coups of Miles Davis, and hostile takeovers of Tony Williams & John McLaughlin. 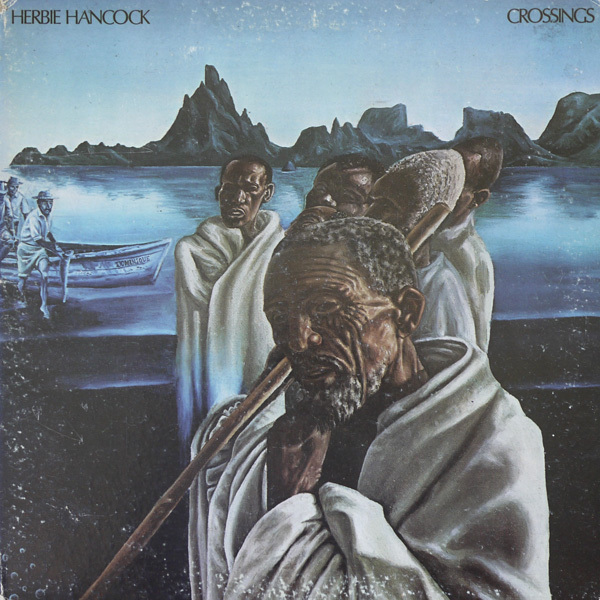 Hancock's 1972 offering was an altogether new sound, and though its moods and textures had been gingerly approached by others (and Hancock himself on the previous Mwandashi),Crossings was a fully realized music come of age at just the right moment. "The new avant-garde has finally found a direction", he reflected in 1971, "but it's like a spectrum. It's not one direction; there are many and they all have to do with giving people an experience rather than just giving them a bunch of notes". This 'experience' set the tone for most of the important directions in jazz - and much music in general - that followed. A fresh voice of improvisation and adventure that began finding its way into almost every film, TV show, and jazz & fusion record. It was real, urban, alive, and it was terribly American. 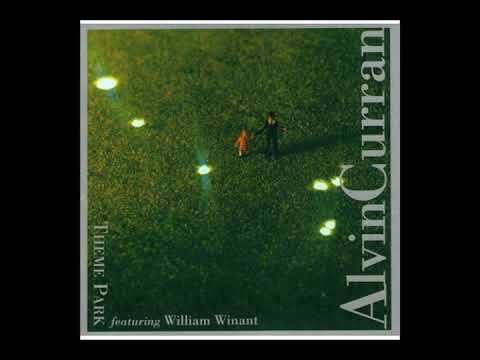 Billy Hart's drums and the child's play of the band on various pan-African percussives create the drum conversation that opens 'Sleeping Giant', Hancock's electric piano eventually chiming in, Buster Williams's resonant upright bass rises and falls and things begin to heat up nicely. 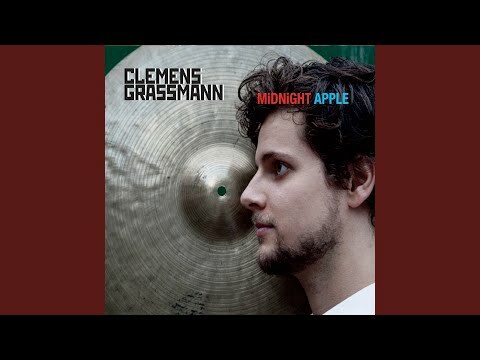 A quiet reflection at the 7-minute mark vibrates with the bitter experimentation of Schoenberg and evolves into bumpy funk before slowing again for a refrain of brass, the band throbbing with Benny Maupin's bass clarinet and Eddie Henderson's flugelhorn dueling with the bass & drums, ending softly after twenty-five minutes. Uneasy 'Quasar' settles on a complex Latin rhythm and then dissolves into cosmic pie, and 14-minute 'Water Torture' further explores the griot drum languages of the Mande and Soninke as it wanders and weeps through the streets of a sleeping city. A transcendent experience that has grown over time into one of the most powerful, moving and innovative artistic statements of the modern era, and no music like it has since emerged. I can't believe how much I am blown away by this album, the second album with the Mwandishi band, Hancock with Bennie Maupin, Eddie Henderson, Buster Williams, Julian Priester, and Billy Hart. This was his first album with Patrick Gleeson helping out (he also helps on his following, Sextant). Now this is the type of fusion I like best, rather non-mainstream, not easy to get into, but pretty trippy. It's often difficult for me to describe this music, but you get treated with lots of Hancock's keyboards and tons of wind instruments, drums, and bass playing from the other band members. I really love how "Water Torture" ends with some of the most sinister sounding Mellotron I had ever heard. I only wished Hancock used the tron a little more, because if the tron was used all over and in a similar manner, you can be sure it would rank there with King Crimson's In the Court of the Crimson King and the "Classic Seven" Moody Blues albums for Mellotron usage. But even if the Mellotron is just confined to "Water Torture", it's simply one of my all-time favorite Mellotron moments. I can also very highly recommend his followup Sextant as well, if you like what he does here! 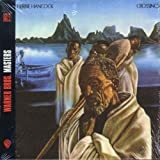 "Crossings" is an exploration of jazz fusion with some of the most compelling lengthy pieces composed for a Herbie Hancock album, by the Mwandishi band. There are only three tracks but all are captivating, beginning with the album side 'Sleeping Giant' with an intro of African tribal polyrhythmic percussion. It settles into a jazz groove that simmers along until the rhythm breaks and there is a brass passage of improvised elegance. A trumpet solo glows brightly as Hancock pours out keyboard liquid and there are some chilling African percussive vibes. Then a streetwise funkadelic beat crashes through, like the crime-jazz soundtrack of "Shaft", or a 70s "Dirty Harry" movie. It is little wonder that the man was called on to create soundtracks for 70s crime movies such as "Death Wish". Maupin's sax is absolutely masterful here, nothing compares to the way he makes that sax cry in pain. A killer track in any music connoisseur's collection. Side two houses two Maupin-penned tracks, that are still consistent in excellence. 'Quasar' is first with some haunting flute and a transfixing bassline from Williams. The jazz dissonance is quite a compelling sound though very off kilter. It takes a while to gather momentum but the spacey streaks are quite uncanny. The cosmic fusion is augmented by angelic flute lines and low synth buzzes. 'Water Torture' is even more electronic and so delightfully different to the previous tracks. The dissonance of odd meters is created by alto sax trills, off beat basslines and keyboard improvisations. It sounds in places like the soundtrack of a crime movie again, bringing to mind sections of 70s scenes of Charles Bronson impending violence. This is a little too quirky for my tastes but it is okay to close the album with a different approach. At 7 minutes in I was longing for some kind of change in direction as the crime-jazz soundtrack was getting tiresome, but it continues in the same vein. The album is definitely one of the all time greats in the world of Hancock, along with "Headhunters" and "Sextant". 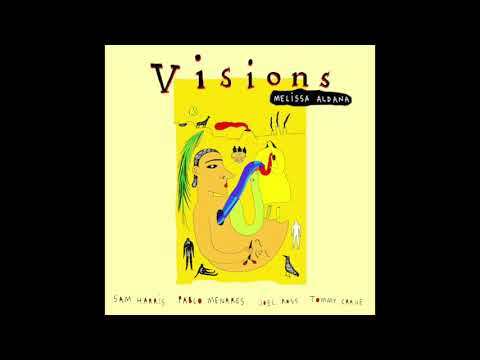 I am not a real fan of this style but I am having my ears opened lately with some cool jazz. From Hancock, I had only previously heard 'Rock-it' before this so it is nice to know the man is deserved of his massive reputation outside of that breakdance electro 80s era. 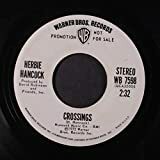 I've recently decided to make an effort to branch out in my jazz listening and move out of my jazz-rock/fusion-focused comfort zone, and after a few listens it seems to me that Herbie Hancock's Crossings is a great album for people who want to do precisely that. It very much approaches fusion from the jazz side of things; the fusion passages here are more or less in the tradition of In a Silent Way, and in fact I would count it as one of the few albums to really recapture the soft, floating atmosphere of that classic album. But on top of that, you get more than just fusion here; at points, for instance, the band step back, calm down, and shift into a more purely jazz mode, or shift gear into a more avant-garde format which at points (especially on Water Torture) verges on being downright menacing. It's certainly an album which demands and rewards multiple listens, and opens the door to a far wider range of jazz influences than many fusion pieces offer. The second “Mwandishi” album is Crossings and comes out in 72 with a stunning “African” artwork (something missing its predecessor), courtesy of Robert Springett (a regular Hancock collab until the end of the 70’s) and with an unchanged line-up, but this time a certain Patrick Gleason is adding a whole bunch of electronic “noises” on his Moog and in his Frisco studio, where the album was recorded in March. Gleeson is a university student and one of the first to own a moog and he will persuade Herbie to leave him the master tapes, over which he will add his “noises”. Herbie loved it, his bandmates a tad less (one of them apparently said Gleeson’s ARP synth sounded like a vacuum cleaner) and the specialized press hated it and shot mercilessly the album in flame, so again it sold too few, partly because the WB label was not a jazz-rock label and didn’t push it enough. In the jazz realm, rarely a bigger mistake happened, when Warner got rid of Hancock’s contract. Herbie would then leave Frisco and sign with Columbia, the label that Weather Report, Return To Forever, Miles Davis and Mahavishnu orchestra called home. On his second album, Columbia hit the jackpot with Head Hunters.